For my family, the award for best tasting Disneyland snack goes to Dole Whip. Dole Whip is a light, Disneyland pineapple whip dessert that just always seems to hit the spot while at Disneyland Park. The problem is, going to Disneyland just to get dessert isn’t something we want to be doing. Instead, we use a very easy homemade Dole Whip recipe so we can enjoy it regularly. Making this homemade Dole Whip recipe is so easy, fun, and delicious that the hardest part will be sharing the Disneyland pineapple whip. There are many treats at Disneyland that all fight to be the best. Everyone has their own opinion as to what is the best Disneyland treat. Sure, traveling to a Disneyland resort is fun. 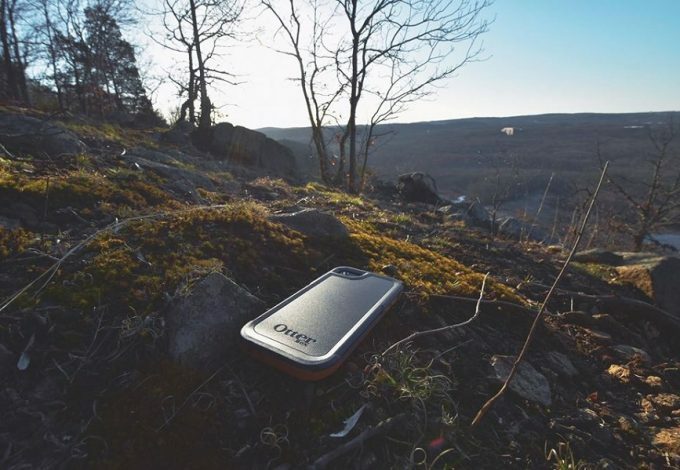 But sometimes packing up the whole family for a long or short journey is not going to happen. Instead, drag out the blender, get some bowls, spoons, or straws, and whip up this delicious dessert. 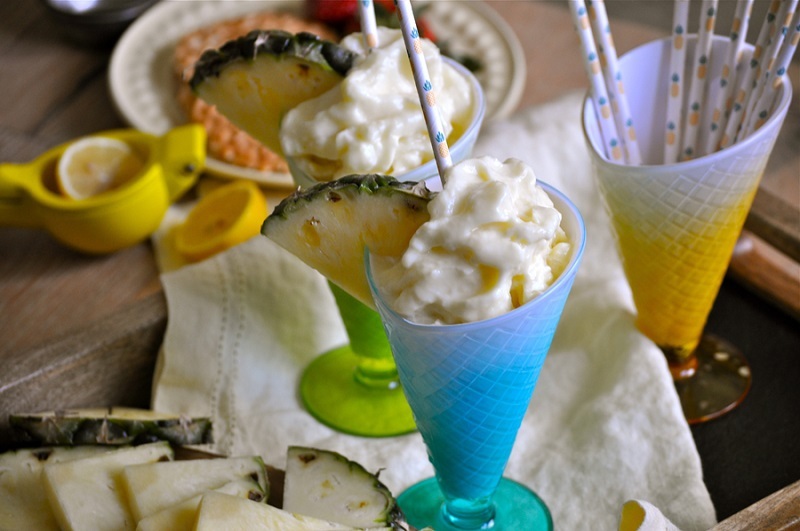 Dole whip wouldn’t be Dole whip without pineapples, using frozen pineapple chunks will make this recipe easier. Milk binds it together and the secret ingredient is salt. The salt enhances the flavor of the pineapple and helps make this fan-favorite even better. Of course, a treat wouldn’t be a treat without some added sweetness so sugar is needed but not too much. The sweetness of the pineapple is a subtle sweetness when it is blended this way which is why you will need sugar. A splash of lemon will finish this treat and soon enough you’ll be transported to Disneyland with a single bite. Blend all ingredients until smooth. 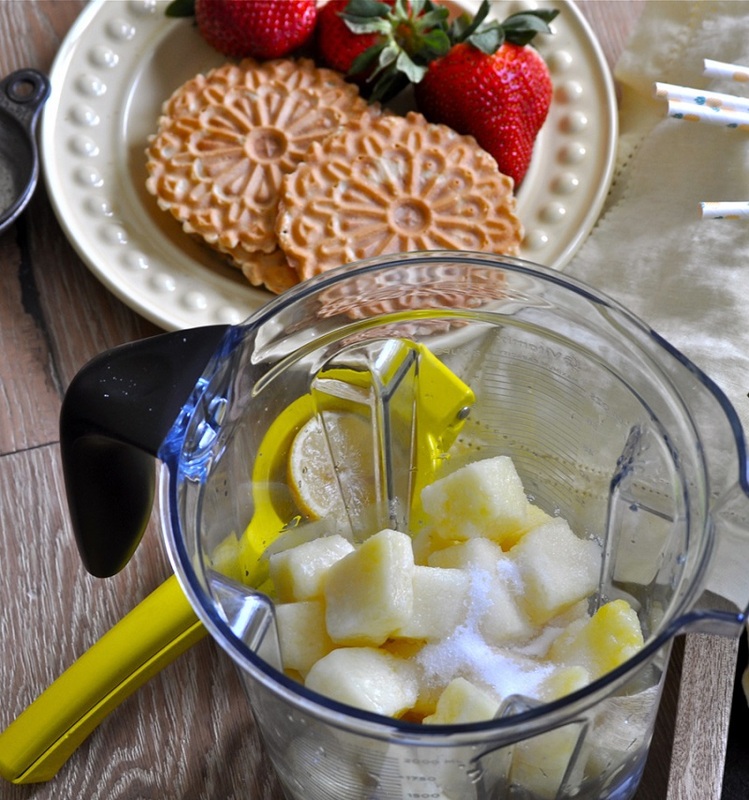 Use a tamper to press the pineapple chunks down to ensure they become smooth. If you make this in a VitaMix, you can serve straight immediately. 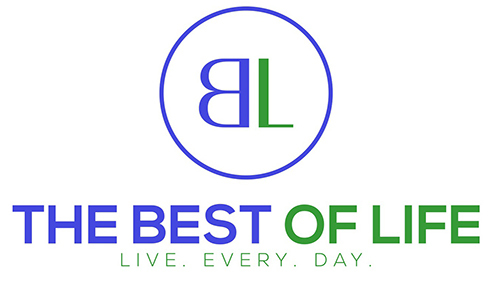 If using a regular blender, freeze for 15 minutes before serving. 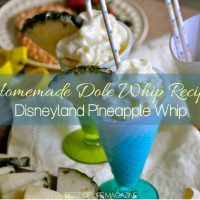 Making homemade Dole Whip is easy, fun, and delicious when you have the right Disneyland pineapple whip recipe. 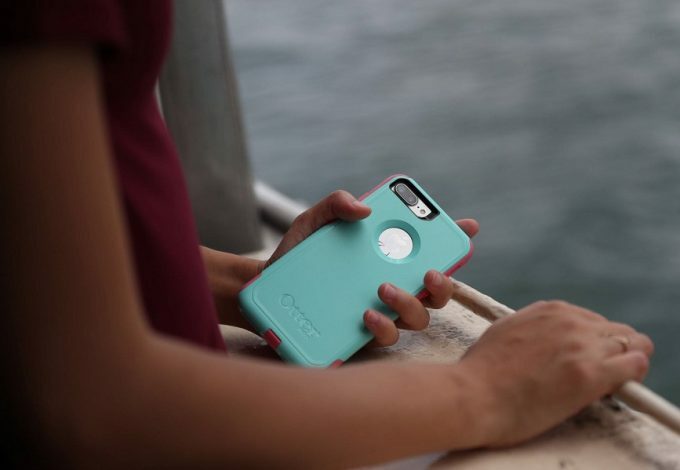 The hardest part will be sharing. Blend all ingredients until smooth. 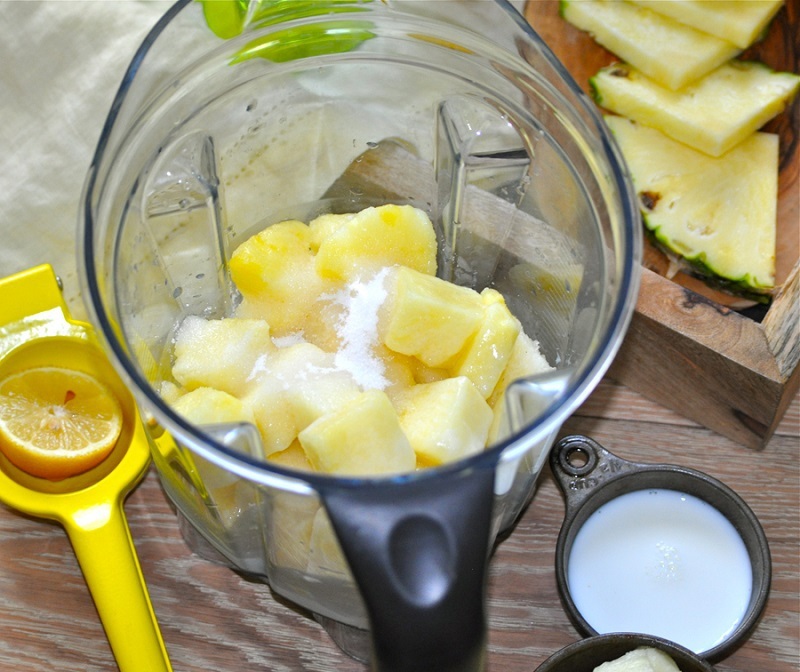 Use a tamper to press the pineapple chunks down to ensure they become smooth. If you make this in a VitaMix, you can serve straight immediately, no need to freeze. Ohh, I’d love to do this at home too. I”ll definitely try over the weekends and invite my girlfriends to try and criticize how will it be. I have heard that Disneyland has amazing Dole Whip. I have never been so I might just have to try this out to see what I have been missing. This looks like a great desert for a hot summer day! I love how easy it is to make with ingredients you usually have on hand. Oooo yum! 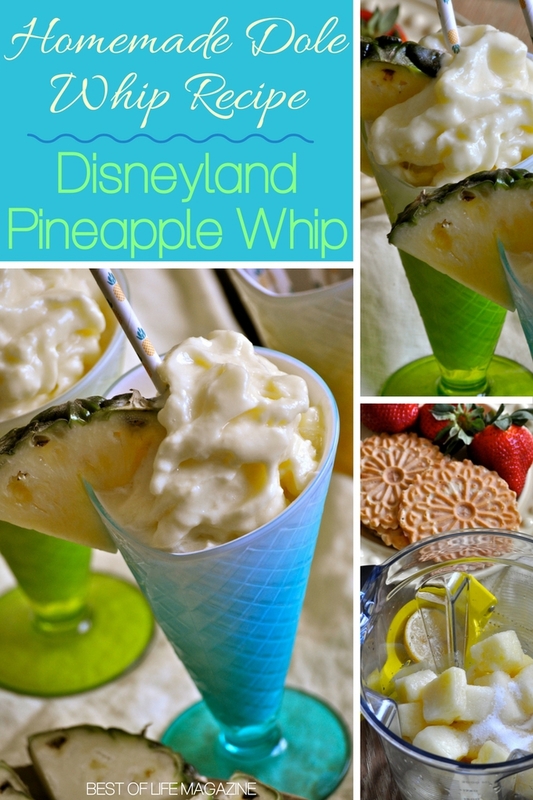 We LOVE Dole Whips so we’ll be making this. I can’t wait. I enjoy pineapple everything. I have never had the Dole Whip, but I heard they are hugely popular. I am not a fan of pineapple, but my kids are. I am sure they would love this. I’ve never tried it but it looks and sounds good. 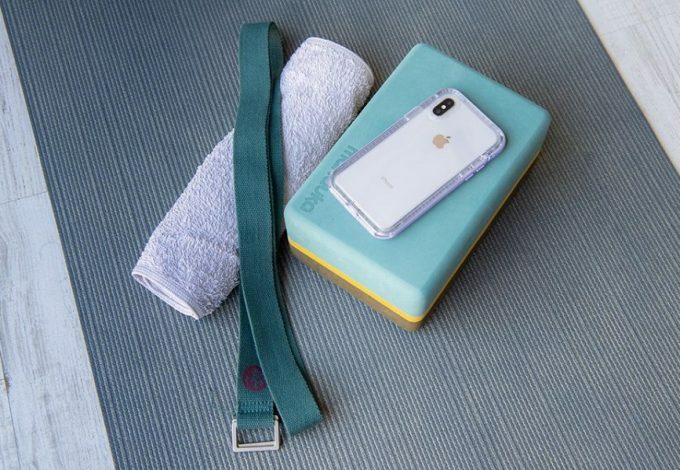 Plus, it looks easy enough for even me to make and that’s saying something. I love pineapples and all the tropical fruits I can get my hands on. 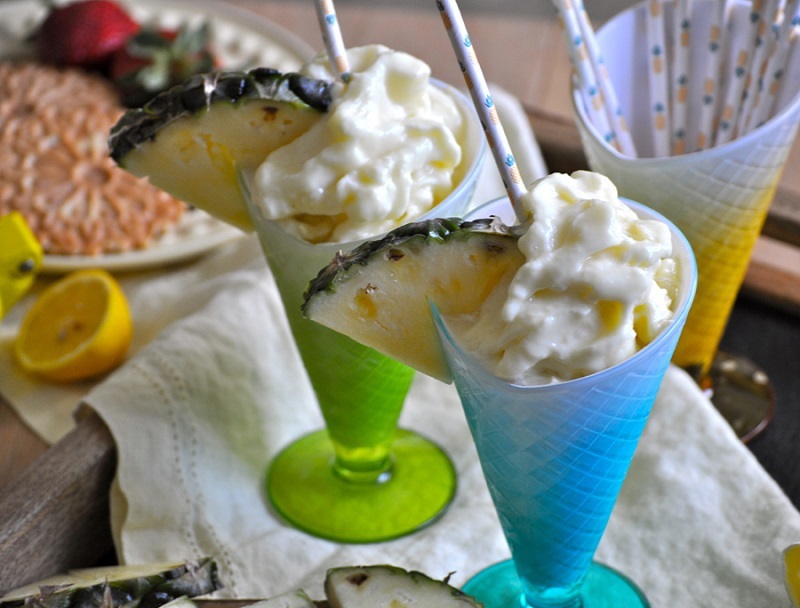 This pineapple whip looks so delicious and I love that the recipe is so easy to follow. Thank you for sharing. My family will thank you immensely too when I prepare this for them. This is my absolute favorite. I definitely need to try making this because trips to Disneyland are not as often as I would like! I love homemade. And this looks healthy and yummy! Love this recipe. I would love pineapple mixed with whipped cream. Two of my college best friends will be coming to my house this weekend. 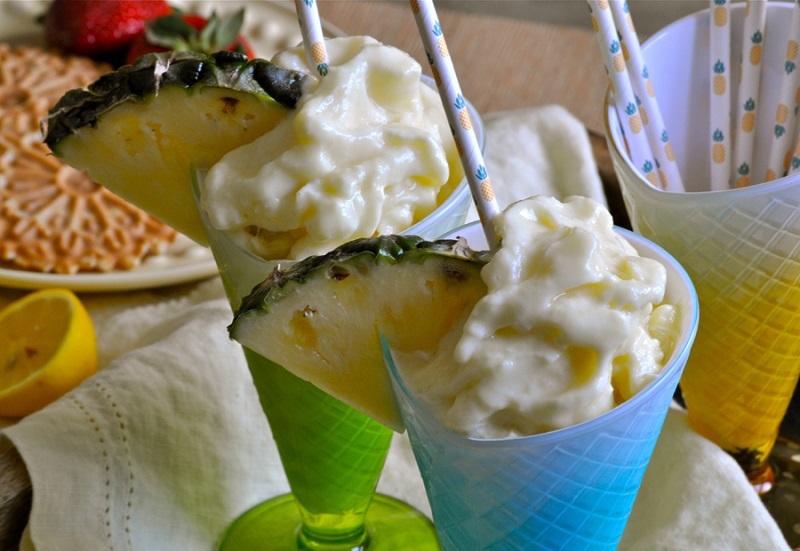 I am making this pineapple whip for us three to enjoy. Oh I am so excited to meet up with them! Yum! Looks like a much healthier option when craving ice cream! Delicious! I bet it would be even better with some coconut almond milk. This looks so delicious and refreshing. Probably the easiest recipe I have seen for Dole Whip.